Scott is 65 but presenting himself as a fresh face against a career pol. 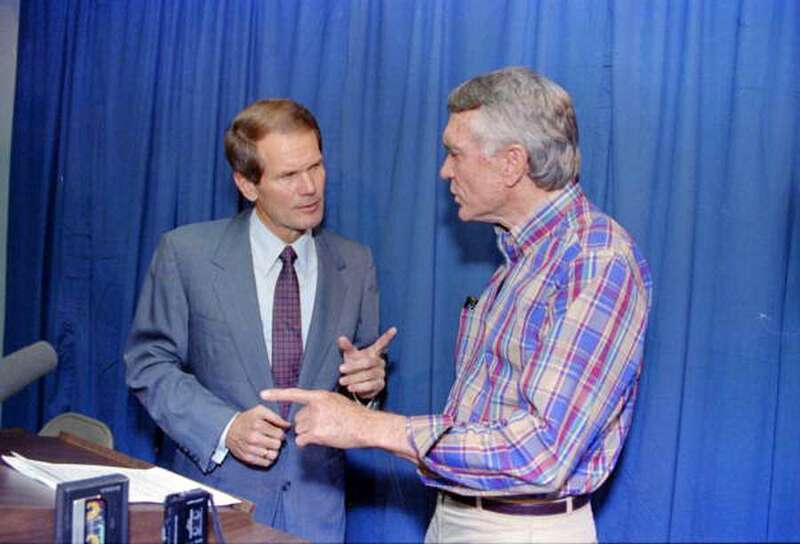 1990 Florida state archive: "Gubernatorial candidates Lawton Chiles, left, and Bill Nelson verbally exchange during a Friday news conference after Nelson accused Chiles of more financial coverups." One of Rick Scott's central campaign themes comes straight from the playbook of Bill Nelson: I'm a younger, more energetic candidate looking to bring a new direction to politics. "Throughout the debate, Nelson emphasized his youth. At 47, he is 13 years younger than Chiles, who became the instant front-runner when he entered the race. Sometimes subtle, sometimes direct, Nelson's message was the same: He is younger, more energetic and more in touch with today's problems than Chiles." A Washington Post story on Nelson's first Congressional race — in 1978. "For Gurney, the old pro who has been through the wringer, is in for what may be the toughest election of his life in November against upstart Democratic state Rep. C. William Nelson, who portrays himself as a 'fresh face with a clean record.'" "The younger candidate keeps talking about 'a new day' and suggests that his opponent has been passed by events of the new day." Those and other examples were dug up by the RNC, which is helping shape Rick Scott's message. At 65, Scott isn't exactly young, but he looks younger than his age and besides that, his point is he'll bring new energy and vision to Washington. Nelson, 75 and first elected to political office in 1972, likes to demonstrate physical fitness, challenging other lawmakers to push-up contests. He's also a regular jogger. Now he's trying to use seniority to his advantage. In an interview on Fox News, Nelson noted how Facebook CEO Mark Zuckerberg sat down with him in advance of an appearance Tuesday before the Commerce Committee, of which Nelson is the ranking Democrat. 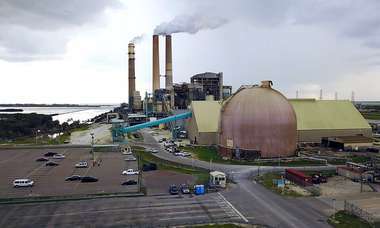 "It takes time to work up through the seniority system, so I would think that that's particularly important to Florida."